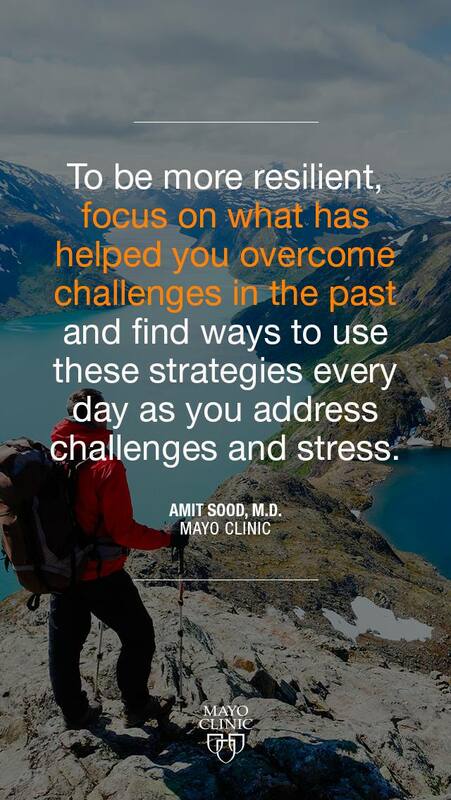 "To be more resilient, focus on what has helped you overcome challenges in the past and find ways to use these strategies every day as you address challenges and stress." Dr. Amit Sood is director of research in the Complementary and Integrative Medicine Program on Mayo Clinic's Rochester campus in Minnesota. He also chairs the Mind-Body Medicine Initiative at Mayo Clinic.